Milborne Port’s Christmas Craft & Food Market is on Sunday 29th November, 2015 from 11.00am to 4.00pm in the Village Hall, Station Road, DT9 5RE. This is the fifth year we have run this event and it is getting more popular each year. We have around 45 stalls attending and all the stalls will be selling quality, handmade, home-grown bespoke items varying from jewellery, cards, crafts, Christmas decorations, cakes, pies, local cheeses, a sweet stall, handmade wooden items, leather bags and purses and leather gloves for car drivers, equestrian and fashion gloves, Phoenix card trader, jams and preserves, bath and beauty products made from all natural ingredients and much, much more. We have hot and cold refreshments as well as hot and cold drinks, cakes and biscuits, so there is something for everyone. 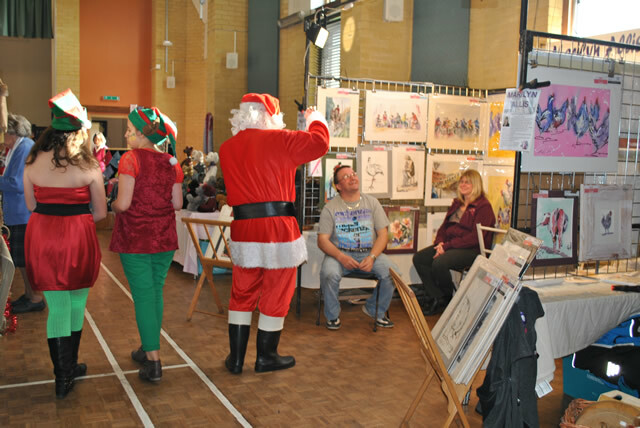 Come along and get into the Christmas spirit at your leisure, get everything you need under one roof and sit back relax and enjoy some refreshments. Make this a date in your diary and come along and get Christmas wrapped up in one go with lovely quality items. Don’t forget Christmas is just around the corner! There is a large free car park and entry is free.